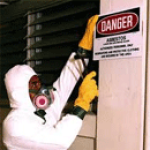 In order to perform Asbestos Inspections for profit in California, you must be licensed as a California Asbestos Consultant (CAC), or as a Site Surveillance Technician (CSST) under the supervision of a CAC. The Asbestos Building Inspector course is one part of the training requirements to become a CAC or CSST. Visit http://greeneducationservices.blogspot.com/2013/08/california-asbestos-consultant-and-site.html for more information. 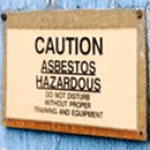 Why Should You Take This Asbestos Inspector/Management Planner Initial Course? The Asbestos Inspector determines the location and presence of asbestos-containing materials and also assesses the condition of the material. Only an AHERA accredited inspector can sample and inspect material for asbestos. In California, when a person is hired to inspect and sample materials for asbestos, they must be a Certified Asbestos Consultant (CAC) or Certified Site Surveillance Technician (CSST) working under a CAC. This course meets AHERA training requirements as well as Cal/OSHA training requirements for Building Inspectors. 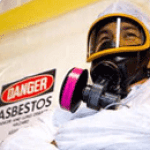 This course provides an overview of asbestos containing materials in buildings and the methods to find, categorize, and assess their condition and potential for disturbance. The second session continues the natural sequence of events in the Management Planner course. This two-day follow-up is required for all persons who write management plans for schools and for individuals seeking certification as Cal/OSHA Certified Asbestos Consultants (CAC). The student becomes familiar with Management Plans and Operations & Maintenance Programs. Regulations are covered in detail, as well as EPA hazard assessment protocols, appropriate selection of response actions including removal, encapsulation, repair and enclosure, and development/implementation of an Operations and Maintenance Program. Students will use this knowledge to develop and use a management plan and O & M program in the class.